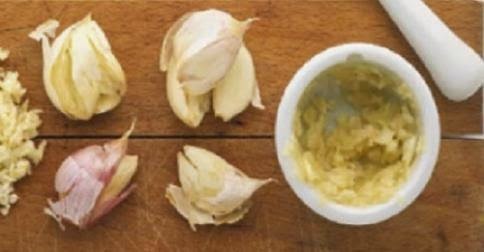 Add 350 grams of crushed garlic in a glass jar. Pour over it 220-250 grams of 95-96° alcohol, rum or other spirits. In the 11th day filter it all with a very fine strainer or gauze. The resulting liquid is poured into the same pot and placed another 2 days in the refrigerator. Continue with 25 drops/ 3 times a day, until you finish the entire quantity. It absorbs any internal and external tumors!